India's corporate and regulatory environment has traditionally not been conducive to shareholder activism. First, there is little separation of ownership and management in India. Many Indian listed companies are controlled by 'promoters' (i.e., their original founders) or are closely held by 'promoter groups'. The advent of listing often has little effect on their management and they often continue to be run as family businesses, with the interests of public (or non-promoter) shareholders being secondary to those of the promoters. Second, although India has a public M&A market and a supporting regulatory framework, until recently, Indian market dynamics meant that most promoters did not fear the loss of control (even if their businesses did not perform). Third, the institutional investor base in India is not as organised as in the United States or the United Kingdom and has traditionally been passive. Finally, previous laws and the historic judicial approach has not been supportive of classical shareholder activism. However, a number of these historic dynamics are changing. The Companies Act 2013 (CA 2013) and certain regulations issued by India's securities markets regulator, the Securities and Exchange Board of India (SEBI), have improved minority shareholder rights, created new shareholder remedies, codified directors' duties and raised the bar in relation to corporate governance standards. Various proxy firms are now active in the Indian market, and the media has also emerged as a key stakeholder in certain situations. Consequently, investors have been increasingly more willing to make their voices heard. Much of this dissent has been event-driven (opposing related party transactions, share repurchases and acquisitions) and limited to the larger listed companies. However, since the last quarter of 2016, there has been a broadening of shareholder engagement to cover other areas such as executive remuneration, strategy, succession planning and business underperformance. This period has seen the Tata Group and Infosys, two of India's better governed groups, undergo changes in management, the CEO of ICICI Bank face investigations, a director of Fortis Healthcare being removed by its shareholders and the chair of one of India's leading financial groups face significant opposition to his reappointment as a director of the group holding company. There have been recent instances of investors seeking board positions and challenging transactions that are perceived to have enriched promoters. Also, while long-term institutional investors historically led shareholder engagement, certain recent activist campaigns have been led by other funds. In addition, a large and multi-bidder takeover has recently played out in the market. These dynamics have chipped away at the general position of strength of controlling shareholders in the Indian market, which does, nevertheless, remain. Therefore, the Indian market remains very different from the US and the UK from an activism perspective, and activism and shareholder activism in India is nascent, but it is clear that promoters can no longer take their shareholders for granted. In India, directors are appointed by shareholders, just as they are in many other common law jurisdictions. However, there is no mandatory annual re-election requirement for directors of public companies (whether listed or otherwise). Independent directors are appointed for a term of up to five years,2 and, absent any special provisions in the articles (which are uncommon), one-third of all non-independent directors are subject to retirement and re-election by rotation every year.3 This contrasts with the position in England and Wales, where the requirement under the UK Corporate Governance Code on a 'comply or explain' basis for all FTSE 350 listed companies to annually reappoint directors serves as a powerful governance tool to keep directors in check. Historically, investors have not sought board access, outside situations such as private equity investments, but over the past year various funds have sought board appointments (see Section IV). In addition to the traditional board appointment route discussed above, investors do have access to the board of an Indian listed company, in a manner that is not possible in England and Wales. An investor can seek board representation as a 'small shareholder' by acquiring a very small number of shares and then petitioning the company with the support of the lower of 1,000 other small shareholders or 10 per cent of the total number of small shareholders.4 There has been one recent attempt by activist investors to use this provision. In August 2017, Alembic (a pharmaceutical company) received a proposal from over 1,000 small shareholders, led by Unifi Capital, seeking the appointment of a small shareholder director.5 Although the board successfully resisted this (as the small shareholders were allegedly clients of Unifi Capital), this attempt illustrates that activists are thinking creatively about gaining access to board seats. The removal of a director prior to expiry of his or her term normally requires an ordinary shareholders' resolution (i.e., approval by a simple majority), and the director must first have been given an opportunity to be heard.6 In May 2018, institutional investors and certain funds removed a director of Fortis Healthcare in this manner (see Section IV). This is perhaps the first example of an activist campaign leading to changes on the board. There is also currently no impediment to companies removing additional responsibilities or designations conferred upon directors. This issue attracted attention in the recent Tata affair (see Sections III and IV), where the company's articles did not require shareholder approval for the removal of the incumbent from his role as chairman of the board (although the removal of his directorship did need shareholder approval). In addition to the above, in early 2017, Infosys, one of India's leading IT companies, was criticised by its founders for the levels of severance payments made to exiting executives (see Section IV). In certain circumstances, shareholders have the ability to 'go over the heads of the board'. Shareholders holding at least one-tenth of voting paid-up share capital can notify the board to requisition an extra-ordinary general meeting (EGM),9 and if the board does not call the EGM within 21 days of the requisition notice, the shareholders may themselves call the EGM (to be held within three months).10 If the directors fail to convene an EGM following a valid requisition notice, they become liable for any requisition-related expenses.11 While this right provides shareholders with a useful tool, its successful use by activist shareholders in the Indian context may be challenging. Indeed, the requisitioning of EGMs was used in the recent Tata affair to strengthen the promoters' position. Indian company law does not expressly provide shareholders' the ability to pass written resolutions, but there are provisions permitting postal ballots.12 In 2017, a public shareholder sought appointment as a non-executive director unsuccessfully through electronic voting (see Section IV.iv). Under Indian company law, directors are delegated the authority to manage company affairs, subject to the satisfaction of their duties. Public campaigns by third parties to encourage a change of strategic direction are uncommon, but shareholders do have certain powers to keep management and promoters in check. Although there is no Indian equivalent as comprehensive as the 'class tests' under the UK Listing Authority's Listing Rules, the SEBI (Listing Obligations and Disclosure Requirements) Regulations 2015 (the Listing Regulations) require shareholders' special resolutions (i.e., a 75 per cent approval threshold) for any disposal of a controlling interest in a 'material subsidiary' or any transfer of a significant portion of such subsidiary's assets. In addition, qualifying related party transactions require shareholder approval (simple majority) under both company law16 and the Listing Regulations.17 The regimes are overlapping and similar, but while the company law rule applies to certain qualifying related party transactions (those satisfying certain threshold tests) the Listing Regulations apply to all related party transactions that are considered 'material' by a listed company (note that transactions whose value exceeds 10 per cent of annual turnover are deemed material). Finally, the Listing Regulations do set out certain principles that have relevance in an activist context, including the rights of shareholders to 'participate in, and to be sufficiently informed of, decisions concerning fundamental corporate changes' and a principle requiring the 'protection of minority shareholders from abusive actions by, or in the interest of, controlling shareholdings either directly or indirectly, and effective means of redress'. These principles have not been used by activist shareholders, but boards of listed companies do need to be wary of potential investor complaints to SEBI in the future. In theory, Indian law confers considerable power on minority shareholders in public M&A situations. There are restrictions on the board taking frustrating action,18 and so defences such as poison pills are difficult to implement. In addition, although there is no formal obligation under Indian takeover regulations to treat shareholders equally in a bid situation, equality of treatment is a guiding principle under the Listing Regulations, so it would be difficult for a target to provide selective information to certain bidders. Also, just as in England and Wales, M&A transactions can be structured through court schemes, which need to be approved by a majority in number and 75 per cent in value of the shareholders.19 In contrast to England and Wales, the practice of obtaining irrevocable undertakings is not a feature of the Indian public M&A market, so there is no further segregation of classes of shares (beyond the classes that already exist). Therefore, a 25 per cent shareholder will be able to block a scheme. Despite the availability of these rights, the strength of promoters' controlling stakes and the fact that hostile takeovers have historically been extremely rare have meant that minority shareholders have seldom been able to exercise strong leverage (outside of delisting situations). In connection with a recent public M&A situation involving Fortis Healthcare, activist shareholders succeeded in removing a director (see Section IV), but it is still too early to draw broad conclusions from that transaction. The advent of CA 2013 is perceived as having significantly improved shareholders' legal remedies in India. While it is true that new remedies have been created, the lengthy nature of the litigation process in India and the judicial history of enforcing shareholder rights should temper expectations. CA 2013 provides for slightly amended versions of remedies under the preceding Companies Act 1956 (CA 1956). For example, the ability of minority shareholders to claim relief against oppression and mismanagement by the majority on the ground that the company's affairs are being conducted in a prejudicial manner, and the ability of shareholders with the support of at least 100 members, or shareholders holding 10 per cent voting power, to apply to the National Company Law Tribunal (NCLT) in certain circumstances to seek an investigation.20 However, the history of the CA 1956 indicates that claimants found success difficult.21 There is limited experience under CA 2013, but the Tata affair (discussed in Sections III and IV) suggests that utilising these provisions may not be straightforward either. However, CA 2013 has introduced a significant change in that Indian company law now includes a 'class action' concept.22 Shareholders who hold a threshold level of shareholding23 can institute class action suits if they believe that the company's management or affairs are being conducted in a manner that is prejudicial to the interests of the company or its shareholders. The NCLT has the power to issue a broad range of directions and can also order damages. This moves Indian company law away from the restraints of the exceptions to the rule in Foss v. Harbottle.24 However, given the state of the litigation process in India, the effectiveness of this remedy in practice remains to be seen. Just as in other jurisdictions, shareholders need to be aware of insider dealing concerns when engaging with a listed company, under the SEBI (Prohibition of Insider Trading) Regulations 2015, as well as the SEBI regulations restricting manipulative, fraudulent and unfair dealings in shares. With regard to 'concert party' issues, these have been less relevant in India in comparison to other jurisdictions. The test of 'concertness' under Indian takeover regulations is by reference to a common objective to acquire shares or voting rights in, or control over, a listed target and shareholders rarely come together for this purpose in India (they usually cooperate on corporate actions requiring shareholder approval). These are still very early days for shareholder activism in India, but some initial trends are summarised below. Historically, litigation strategies have proved to be less effective. For instance, the litigation strategy employed by the Children's Investment Fund (TCI) against the directors of Coal India for breach of fiduciary duties between 2012 and 2014 did not meet with success. In 2014, TCI withdrew its court claims and sold its holdings in the Indian market. Equally, recent attempts by Cyrus Mistry, the deposed chairman of Tata Sons, to seek relief under Sections 241 and 244 of CA 2013 (for oppression and mismanagement) were dismissed by the NCLT,27 and the Bombay High Court refused to entertain a separate representative suit against Ratan Tata (Cyrus Mistry's predecessor) for damages.28 Similarly, litigation by minority shareholders of Cadbury in relation to the valuation in a minority squeeze-out scheme failed as the court ruled against the minority shareholder group.29 A more effective technique that certain shareholders have used is to register complaints with regulatory authorities. Given that promoters remain very much in control, the more effective strategies are likely to be those involving investors working with the promoters or seeking to curb obvious abuses, such as self-dealing, where there is likely to be greater institutional investor and regulatory support (as discussed in Section IV). Several proxy advisory firms are now active in the Indian market. They regularly issue voting recommendations and maintain high visibility. Proxy advisory firms recommended that shareholders vote against the Tata Motors' executive remuneration resolutions in 2014 and claimed credit for the outcome.30 They have also been vocal on governance matters, such as the leave of absence taken by the CEO of ICICI Bank (while allegations of impropriety are investigated). While they do not have the same level of influence as in the US, they are emerging as an important constituency in India. These firms themselves have also faced criticism around perceptions of their own conflicts of interest, and some business leaders in India have suggested that they be regulated. Therefore, it remains to be seen if these firms face greater regulation as their influence grows. Although public campaigns by shareholders seeking strategic changes are not common,31 the media has emerged as a key player, for instance, in the engagement that Narayan Murthy, a founder of Infosys, had with its board in 2016 and 2017 (see Section IV). In the past, collective action issues held back shareholder activism, with investors preferring to simply exit their investments. However, mutual funds and other long-term investors in the Indian market now more actively engage with promoters (see Section IV below). Part of this has been driven by regulation. Indian-regulated mutual funds are now required by SEBI to vote on resolutions involving their portfolio companies and to provide voting reports on a quarterly and annual basis.32 Efforts by India's insurance regulator to encourage market engagement by insurance companies (as summarised in Section V) are likely to continue this trend. In addition to these long-term investors, certain funds have sought to take activist positions over the past year, seeking board appointments (albeit unsuccessfully) and successfully removing a director (in the case of Fortis Healthcare). Ironically, in two high-profile cases, activism has been used by founders or key shareholders against management. In late 2016 and 2017, Infosys, a US and Indian listed IT company, faced a period of sustained pressure from its original founder shareholders, which ultimately contributed to the resignation of its CEO. The founders originally criticised the level of severance payments to certain departing executives and the US$200 million Panaya acquisition, leading to an investigation by an international law firm (which reportedly exonerated the management team). Following this, in July 2017, the board of Infosys indicated its willingness to work with its founders. However, on 18 August 2017, Vishal Sikka, the incumbent CEO, resigned. Without naming the founders, he indicated that the criticism he faced made his role untenable. The Tata conglomerate was also subject to a battle for control in late 2016 and early 2017. Following differences between Cyrus Mistry, then chairman of Tata Sons, and Ratan Tata, the former chairman, on 24 October 2016, Cyrus Mistry was removed from his position as chairman of Tata Sons board through a board resolution. This was followed by allegations and counter allegations between the two individuals. Cyrus Mistry was removed as director from the various Tata Group companies between November and December 2016 and, ultimately, removed as a director of Tata Sons pursuant to an EGM held on 6 February 2017. Various legal challenges by Cyrus Mistry did not succeed. There have been a number of instances where shareholders have been able to block transactions perceived to be adverse to the shareholders' interests. Since shareholders with an interest in related party transactions cannot vote to approve them, minority shareholders are sometimes very strongly placed. For instance, in 2018, shareholders of Tata Sponge, holding just 3.77 per cent of the votes, were able to defeat the related party approval resolutions for this reason. Finally, in 2017, HDFC and Max Life announced a merger to create the largest private insurer in India. One of the deal terms was the payment of a 8.5 billion rupee non-compete fee to one of the promoters. Ultimately, the deal did not complete owing to regulatory concerns, but various proxy firms had recommended that investors oppose the payment of this fee. In certain cases, shareholders have been able to force a renegotiation of terms on large transactions. In 2014, Maruti Suzuki's proposed manufacturing contract with a shareholder, Suzuki, was criticised by public shareholders and proxy firms (who also criticised the fact that Maruti Suzuki did not intend to seek shareholder approval for this transaction). Some of the largest funds in India, HDFC Asset Management, Reliance Capital Asset Management, ICICI Prudential Asset Management, UTI Asset Management, DSP Blackrock Investment Managers, SBI Fund Management and Axis Asset Management all wrote a letter to Maruti Suzuki challenging the proposed transaction. Even Life Insurance Company of India, a state-owned insurer, known to be a passive investor, reportedly engaged with the company in this regard.35 Press reports suggest that the transaction terms were modified, and the company ultimately did obtain shareholder approval, as a related party transaction matter, in 2015. Similarly, in August 2014, the shareholders of Siemens India voted down the proposed sale of its metal technologies business to Siemens AG for 8.57 billion rupees. Siemens India amended the terms of the transaction in November 2014, such that the sale price was increased to 10.23 billion rupees, and finally obtained shareholder approval in December 2014. Although this is still the exception rather than the norm, on occasion, shareholders have opposed the reappointment of senior incumbent management as directors. For instance, in July 2018, 22.68 per cent of the shareholders of HDFC Limited voted against the reappointment of Deepak Parekh, the group chair, as a director. Although his reappointment was ultimately approved, this scale of opposition in relation to one of the most senior figures in corporate India has attracted attention. Litigation has also been used as a strategy to attempt to force a change in board composition. For instance, two investors (IDBI Trusteeship Services and Horizon Fund) have litigated to prevent a proposal by Religare to invest 5 billion rupees in a loss-making subsidiary. In this case, the promoters were able to secure shareholder approval, but the litigants are seeking the removal of the board. This matter is yet to be resolved. Investors have had one notable success in the form of removing a director of Fortis Healthcare in May 2018.37 This was in the context of investor concerns as to the board assessment of certain bids for the company, so this is a significant landmark in relation to shareholder activism in India. Two regulatory developments are likely to have bearing on shareholder activism in India going forward. First, in March 2017, the Insurance Regulatory and Development Authority of India published its 'Stewardship Code' relating to investments by insurance companies in listed securities. These principles include requirements for insurers to monitor investments in their investee companies in respect of performance, leadership effectiveness, succession planning and corporate governance, among others. They also require insurers to have a clear engagement strategy (of their own choosing) with such companies. There are also other principles requiring insurers to have a policy governing collaborations with other institutional investors and also to have a clear voting policy. These are likely to encourage insurers, who constitute a significant proportion of the institutional investor community in India, to be more engaged. Second, SEBI recently announced that it will implement a number of recommendations of the Kotak Committee on corporate governance. This committee, constituted in June 2017, has suggested a number of governance improvements including in relation to board composition, related party contracts and various board committees. The changes are expected to improve the corporate governance landscape in India. Until recently, India was a market without any meaningful shareholder activism, but that picture has rapidly changed. There has been a period of greater shareholder engagement by institutional shareholders, which has evolved into nascent activism involving a wider set of participants and funds, and some of the familiar activist names from the US are reported to have taken positions in some Indian companies. That said, this has been limited to the 'large cap' and bigger names in corporate India, and that is likely to remain the case in the near term. The market is still a long way from that in the US, so it is likely that some adaptation of activist strategies will be necessary in the Indian context. The more interesting debate is around engagement by corporate India. Boards of Indian companies should start considering more meaningful shareholder engagement by setting up investor relations teams, improving their governance systems and providing information to the market to support board strategy, particularly as far as large transactions are concerned. In the years ahead, corporate India will need to adapt accordingly. 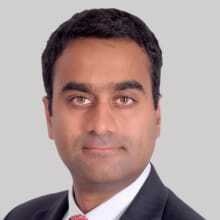 1 Nikhil Narayanan is a partner at Khaitan & Co.
2 Section 149(10) of CA 2013. 3 Section 152(6)(c) of CA 2013. There is also a rarely used alternative in Section 163 of CA 2013, which allows for the concept of proportionate representation for at least two-thirds of the board. 4 Section 151 of CA 2013 and Rule 7 of the Companies (Appointment of Directors) Rules 2014. For these purposes, a 'small shareholder' is one who holds shares in a listed company, the nominal value of which is less than 20,000 rupees or any other government-prescribed sum. 5 Ingovern, India Proxy Season 2017. 6 Section 169(1) of CA 2013. The reference to 'normally' above is because this does not apply to directors appointed by proportional representation (which is very uncommon). 7 Allirajan Muthsamy, 'Shareholder Activism stalls promoter moves', Economic Times, 5 July 2014. 8 Section 197 of CA 2013 and Schedule V of CA 2013. 9 Section 100(2)(a) of CA 2013. 10 Section 100(4) of CA 2013. 11 Section 100 (6) of CA 2013. 12 Section 110 of CA 2013 and Rule 22 of the Companies (Management and Administration) Rules 2014. 13 Sections 62(1)(b) and 62(1)(c) of CA 2013. Note that private companies and international financial service centre (IFSC) public companies offering shares to employees under an employee benefits scheme need only pass an ordinary resolution (and not a special resolution). 14 'Undertaking' is defined as any undertaking in which the company's investment exceeds 20 per cent of the company's net worth (as of the audited balance sheet of the preceding financial year) or which generated at least 20 per cent of the company's total income during the preceding financial year. 15 Section 180(1)(c) of CA 2013. 16 Section 188 of the CA 2013. 17 Regulation 23(4) of the Listing Regulations. 18 Regulation 26 of the SEBI (Substantial Acquisition of Shares and Takeovers) Regulations 2011. 19 Section 230(6) of CA 2013. 20 Section 213 of the CA 2013. 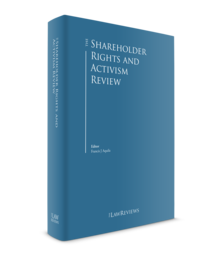 21 Umakanth Varottil, 'The Advent of Shareholder Activism in India', Journal on Governance, Vol 1 No. 6, 2012. 22 Section 245 of the Companies Act 2013. 23 The threshold for shareholders to be able to trigger this protection (i.e., a shareholding percentage) is the lower of 100 shareholders or a percentage of shareholders to be prescribed. Draft rules had proposed a 10 per cent threshold for this latter threshold, but this proposal is, at the date of publication, not yet in force. 24 (1843) 2 Har 361. Previous Indian company law (CA 1956) did not recognise derivative action, so claimants needed to establish a case on the basis of common law. Academic studies have shown that this had little success (see note 21). 25 Section 88 of CA 2013. 26 Section 90 of CA 2013. 27 Cyrus Investment Private Limited and others v. Tata Sons Limited and others, (2017) 2 CompLJ 295, Cyrus Investment Private Limited and others v. Tata Sons Limited and others, (2017) 2 CompLJ 332 and Cyrus Investments Private Limited and another v. Tata Sons Limited and others, order dated 12 July 2018 of NCLT (Mumbai bench) in CP No. 82 (MB)/2016. 28 Pramod Premchand Shah and others v. Ratan N Tata and others, 2018 (1) ALLMR 255. 29 Khushboo Narayan, 'Bombay HC asks Cadbury to pay Rs. 2,014.50 per share for buyback', Livemint, 18 July 2014. 30 'Shareholders reject Tata Motors pay plan', The Business Standard, 4 July 2014. 31 The only real example was in 2012 when the CLSA wrote to the then CEO of Infosys, challenging its business model, but that did not result in any meaningful change or shareholder engagement. 32 SEBI circular SEBI/IMD/CIR No. 18/198647/2010 dated 15 March 2010, SEBI circular CR/IMD/DF/05/2014 dated 24 March 2014, and SEBI circular SEBI/HO/IMD/DF2/CIR/P/2016/68 dated 10 August 2016. 33 Ingovern, Inda Proxy Season 2017. 34 'Sun Pharma drops wind energy investment plan', Business Standard, 25 November 2015. 35 Himank Sharma and Aradhana Aravindhan, 'Big Indian funds challenge Maruti Suzuki over Indian Suzuki plant', Reuters, 24 February 2014. 36 Ingovern, Inda Proxy Season 2017.